Exploring old human territories for areas to resettle is a very dangerous job. It's made even more perilous by the Titans that roam the areas they work in, so only the best and bravest soldiers take up the task. 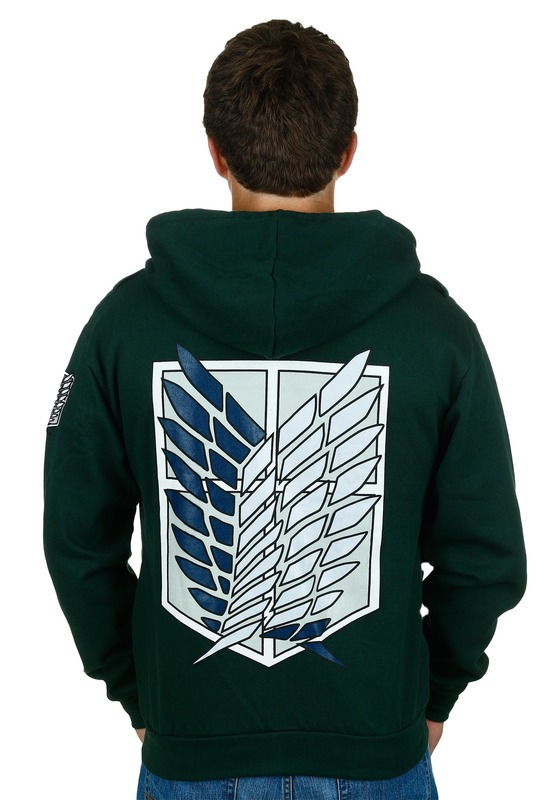 That's where the Scout Regiment, aka the Survey Corps, comes in. It's not really clear if the scouts of the Survey Corps are incredibly brave, or just crazy, but it's probably some combination of both. Their exploits are so renowned that their insignia, the "Wings of Freedom," has become a symbol of hope for the human race. 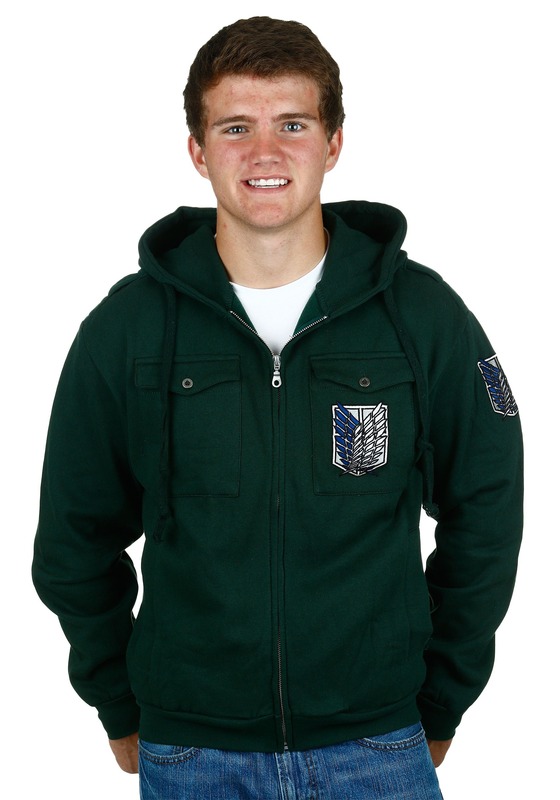 The most stylish way to show your pride for this elite unit is by donning this Attack on Titan Scout Regiment Chest Pocket Hoodie. This officially licensed outerwear looks like the type of garment a scout would wear to stay warm on an expedition. 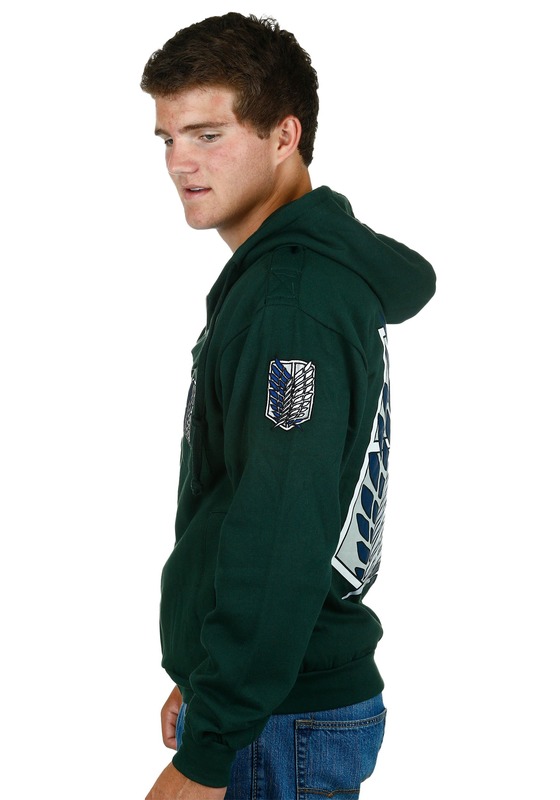 It has functional chest pockets and metal buttons for storing gear, and features the crossed wings emblem of the Survey Corps on the pocket, sleeve, and back. The life of a scout is far from easy, or safe, but that's why they get to be called the best!